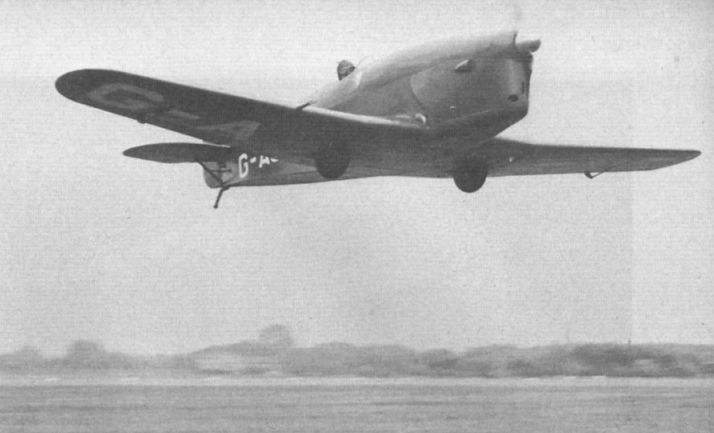 The Streak shortly after roll-out at Heston in April 1934. 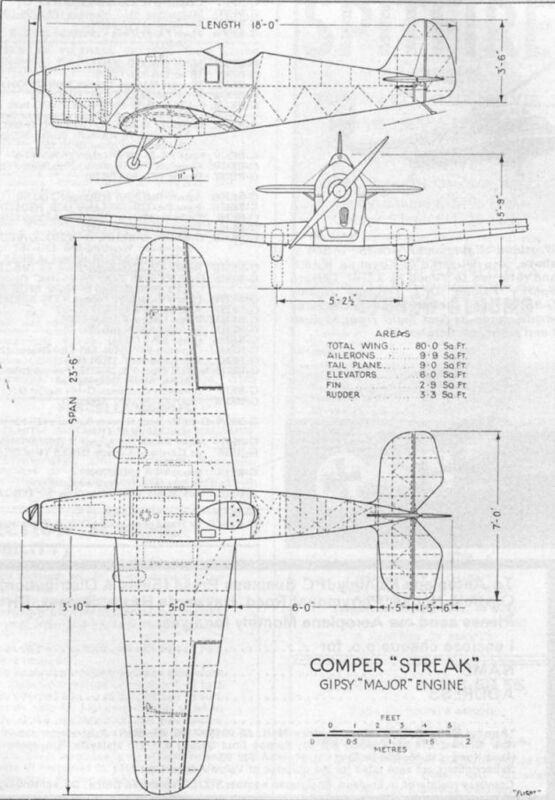 CLEAN LINES: The "Gipsy Major" engine of the Comper "Streak" has been very cleanly faired in, but the cowling at the same time provides adequate cooling. Another view of the Streak before the addition of mass-balances. 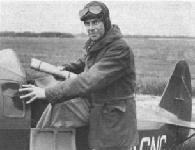 J. Graham, Comper works manager, surveys the Streak, with Comper sitting in the cockpit, at Heston in April 1934. Flt Lt Nicholas Comper at the age of 36, about to demonstrate the Streak for Flight’s photographer. 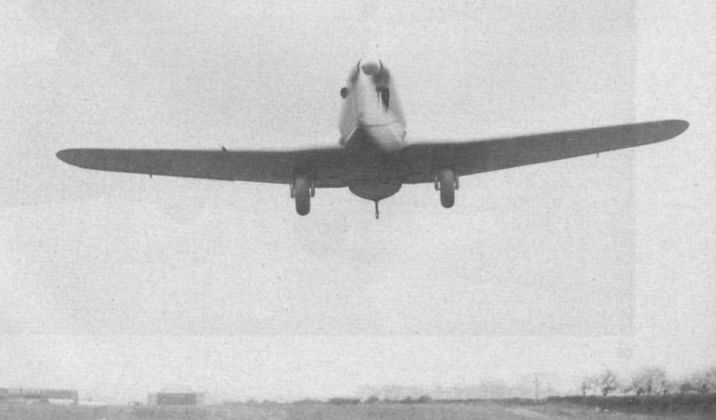 Photo shows Fit Lt Nicholas Comper flying the Streak shortly after mass-balances were added to the ailerons. The Streak demonstrates its smart take-off capabilities at Heston. The Streak, bearing civil registration G-ACNC, makes a low flypast at Heston in April 1934 for the benefit of Flight’s photographer. Note how the retracted wheels protrude, and the glazed panel just below the windscreen affording the pilot additional vision forward and downward. The Streak at the time of the 1935 King’s Cup race. 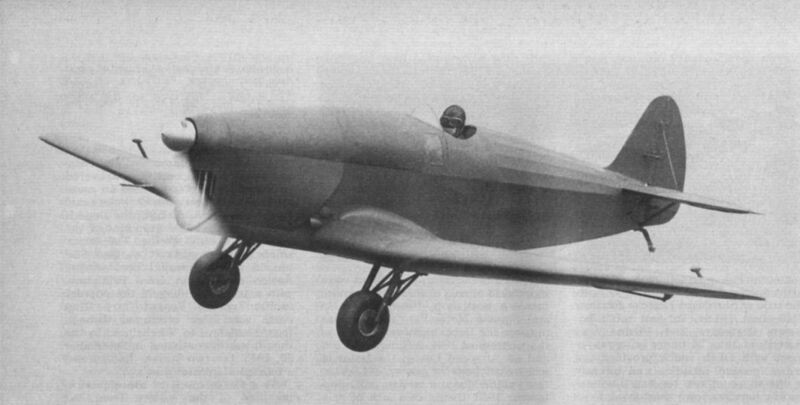 Note the addition of undercarriage doors - presumably an attempt to coax extra knots out of the racer. Comper "Streak". Gipsy "Major" engine.